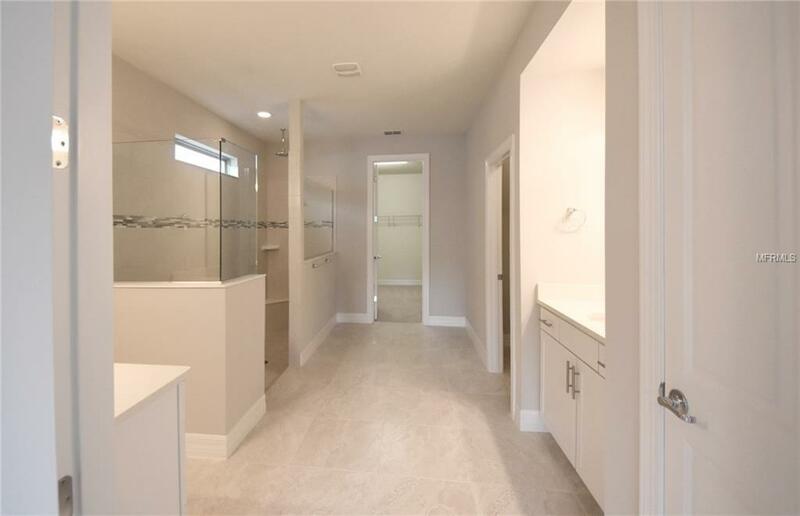 This beautiful NEW home located in the fully maintained community of Ruby Lake in Dr. Phillips offers two bedroom suites on the first floor plus a loft and third bedroom suite on the second floor. The first floor Owner's Suite has a walk-in shower with rain shower head, separate vanities and a spacious walk-in closet. The secondary bedroom features bay-style windows and an ensuite full bath. 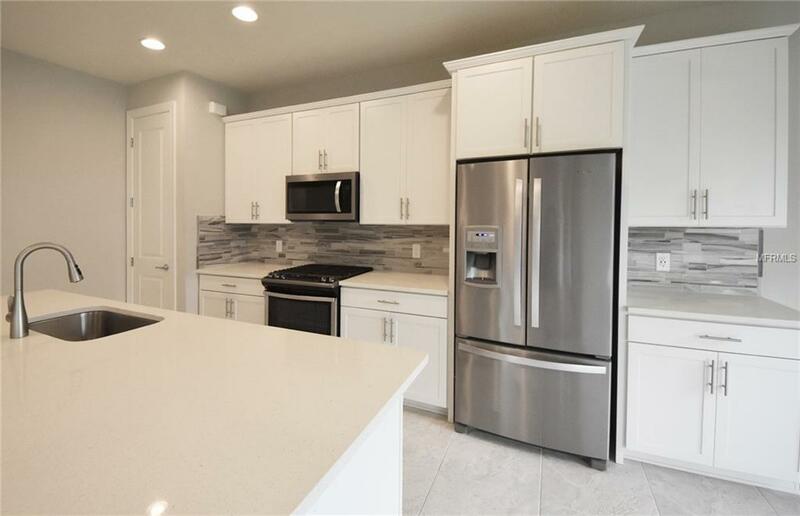 The NEW kitchen, overlooking the great room, boasts a large quartz countertop island, stunning 42 white cabinets and NEW stainless-steel gas appliances, perfect for the chef of the home. 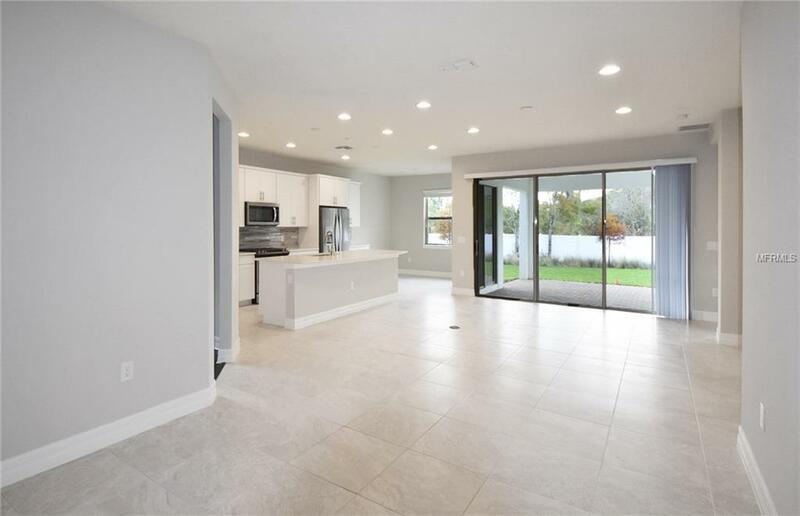 The main living areas have NEW 21 porcelain tile throughout. The flex room off the kitchen is suitable for a home office, play area, or extra living room. The wrought iron spindle staircase leads you to a bedroom and full bath and a loft, suitable as a second living space, office, or game and media room. Enjoy your evenings grilling on the extended covered lanai forwarding you plenty of space for entertaining. 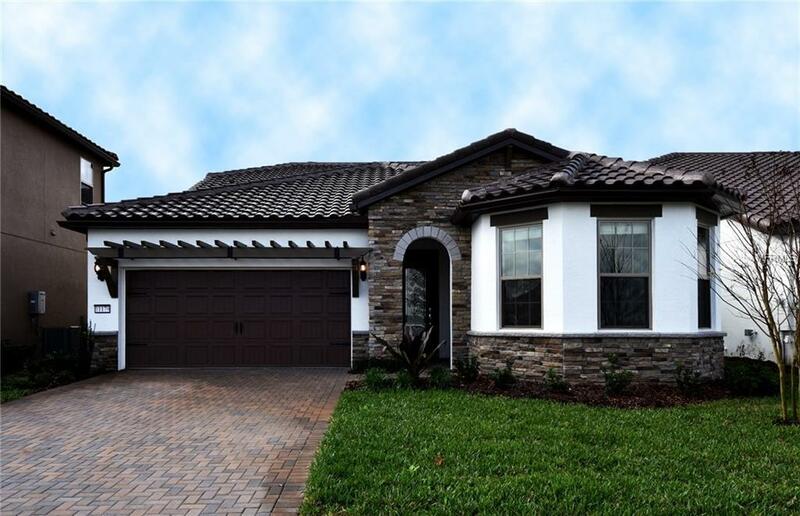 Ruby Lake is a fully maintained community conveniently located just minutes from Orlandos main attractions and highways. Community amenities include a resort style pool, fitness center, splash park, fire pit, pier with firework viewing, and a gated entry.